I have officially survived black Friday, which by the way wasn't bad at all. Well, the places I went to anyways. I wasn't a crazy lady this year by going out on Thanksgiving night. To me, it's fun to wait in line with a christmas flavored coffee in a famous red cup and run and find the deals as fast as you can. Call me weird, but just getting out of the house is exciting for me! On my way home last night I noticed a lot of houses already had their Christmas lights on their homes turned on as well as other yard decor. I thought, wow that was really fast! Our tradition is to always put out lights up the day after Thanksgiving and go pick out our fresh noble fir tree but this year my husband was working. I couldn't do those things without him, so hopefully today, when he gets off his shift we will be picking out our tree and continuing memories. If you didn't know, my husband is a firefighter. Any fire wife can relate. A lot of holidays spent alone with the kids while they miss out by being at the station. 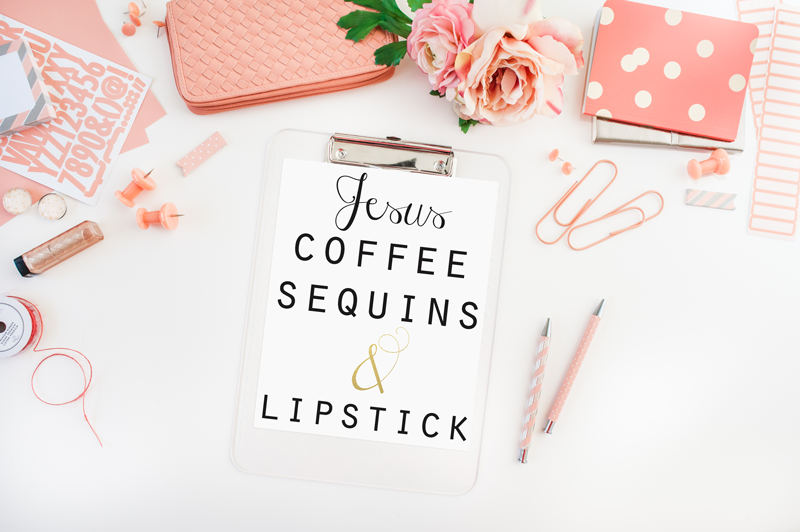 That is a whole 'nother post because I could go on and on about life as a fire wife. Let me just say, you have to be strong! I opened a Vintage Romance Style Etsy shop!! It took a lot of prayer and my plan was to open after Christmas because I have been so busy but lately I have been so inspired and just too excited to refrain from creating! Vintage Romance Style is a chic print boutique in collaboration with the Vintage Romance Style Blog! SHOP FOR A CAUSE! 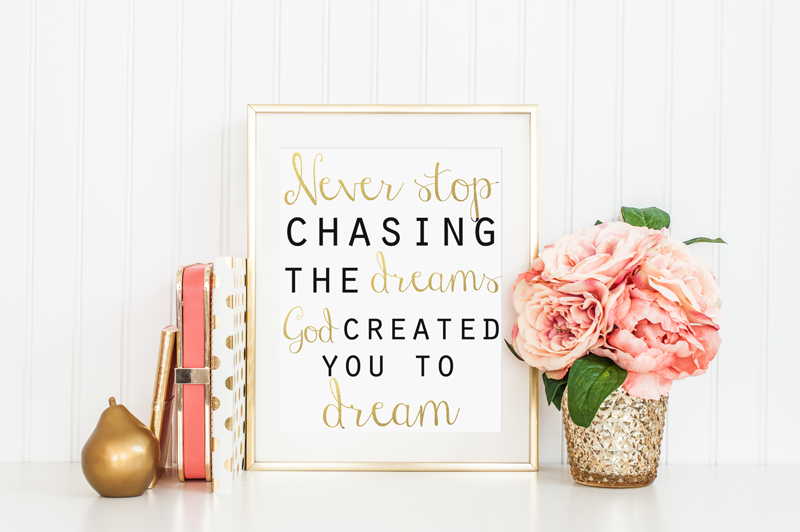 My dream is to inspire you to chase after the dreams that God has created you to dream. With your help we can make the world a little better. Even if we are starting small. A portion of every purchase will go to Food for the Hungry to help give a child in need what every child deserves. Food, school and HOPE. Be someone's hope. Together we can reach the dark places and be a light. For more information you can check out FH.org. 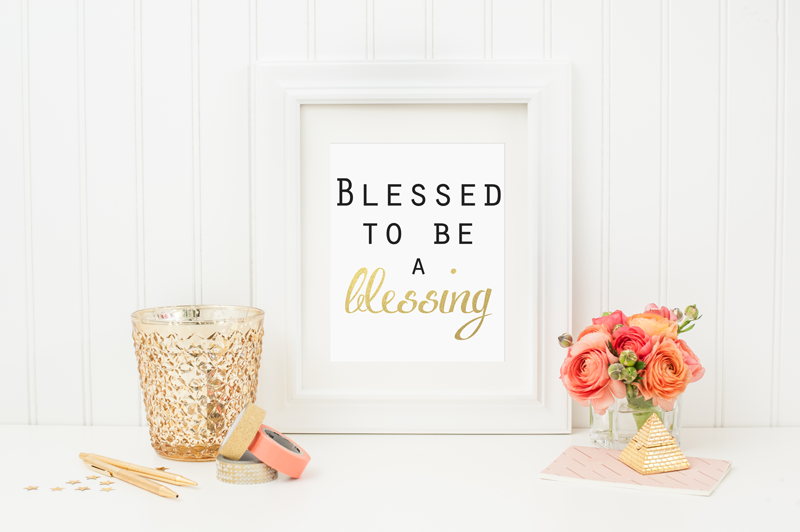 Style your print in a frame by itself or in an adorable gallery wall in your home or office with this glam and inspirational print. Perfect for adding some glam inspiration to your life! After purchasing your print will be e-mailed to you for instant download in a .PDF file. 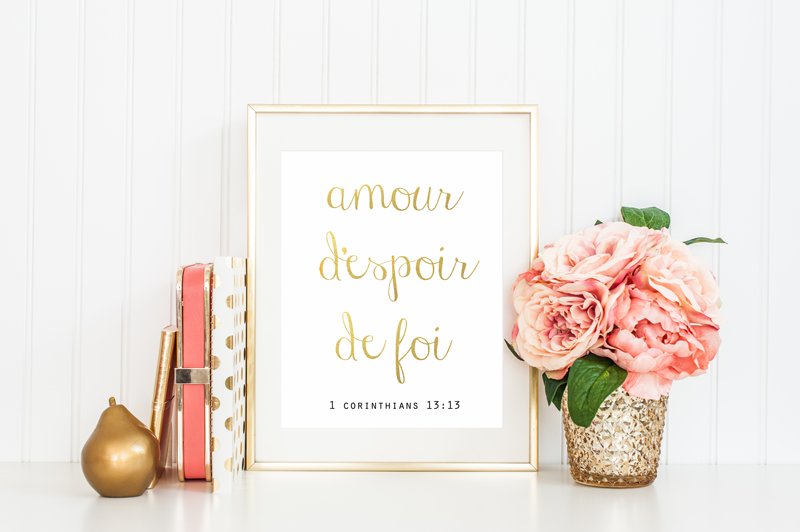 Remember that your print will always be available in your etsy purchased section! Print on white card stock and enjoy! To see more SHOP HERE and I will be adding new prints often! Remember, you will helping to bless others with every download!